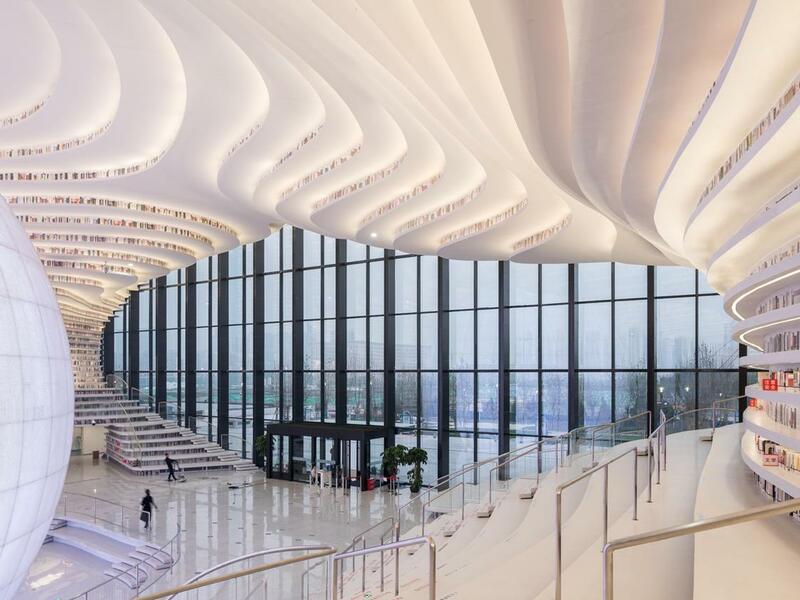 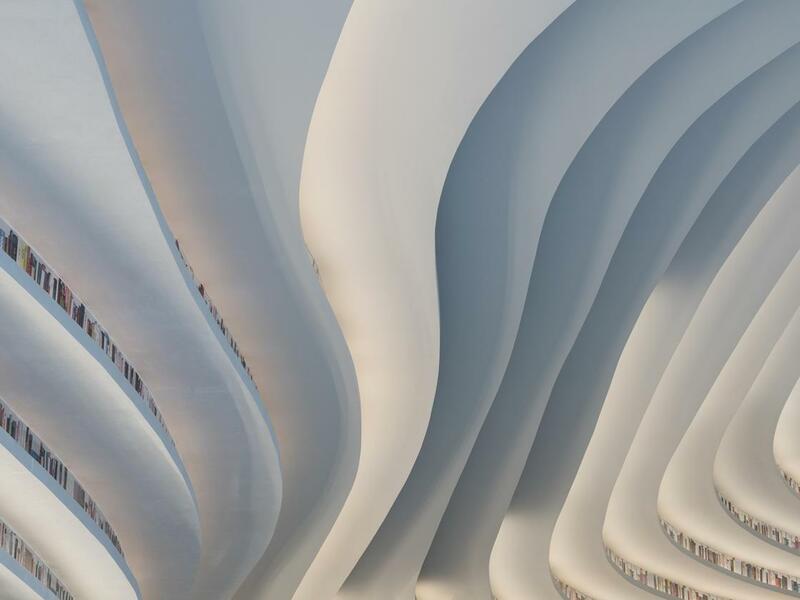 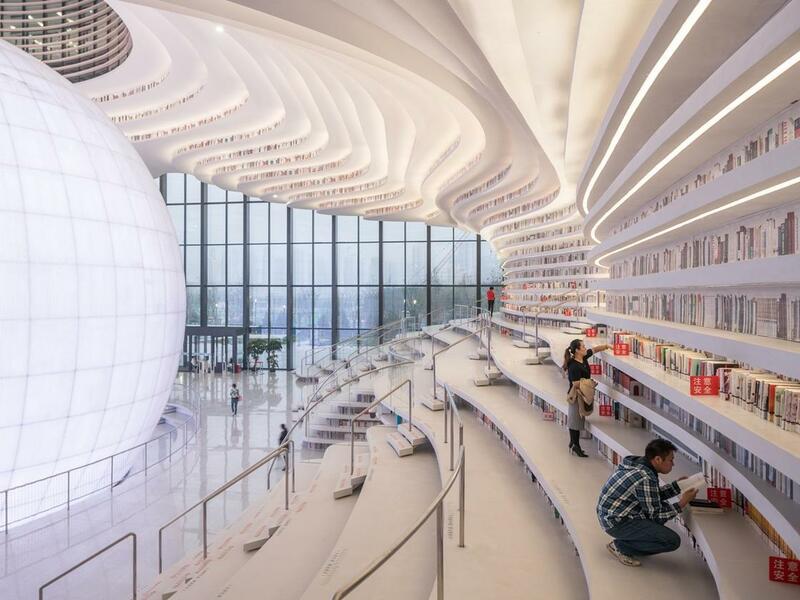 This incredible library, with impressive curves evoking the topology of a landscape, was designed by MVRDV architecture studio for the city of Tianjin, China. 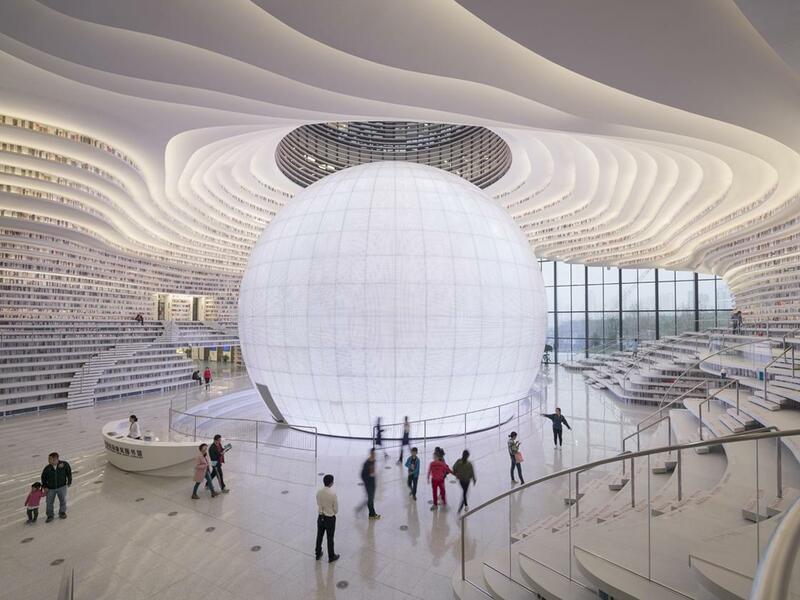 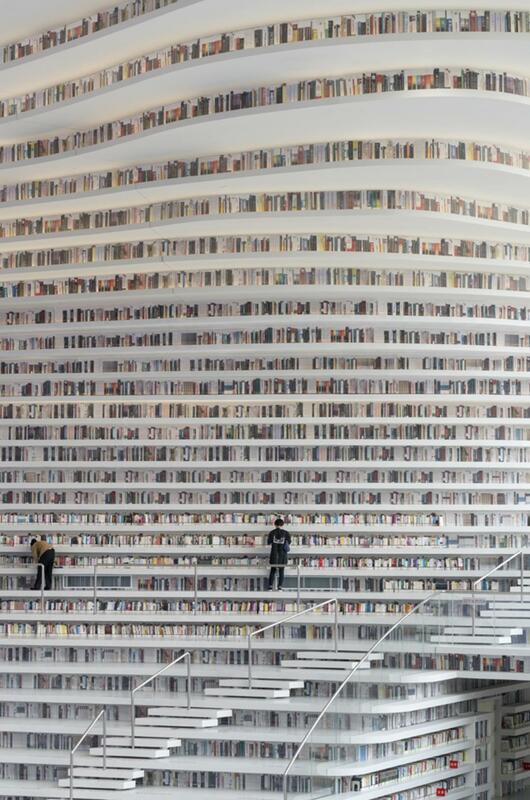 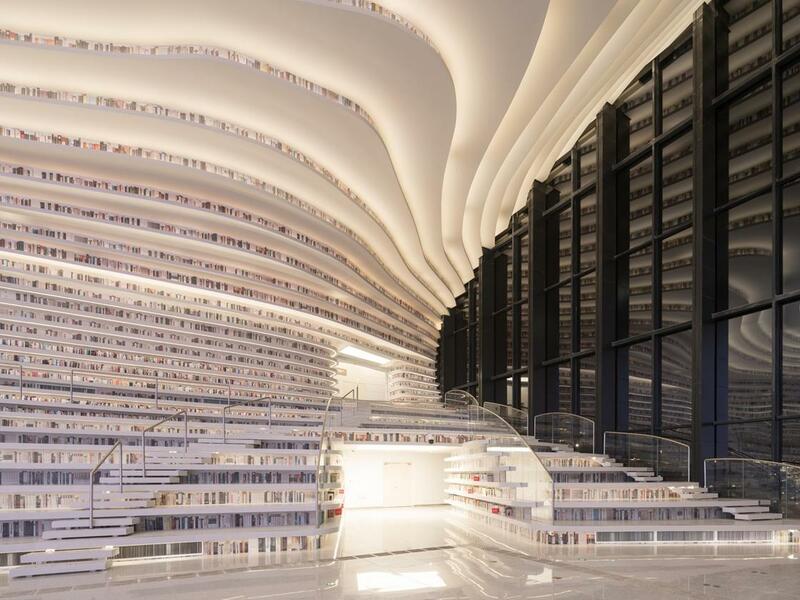 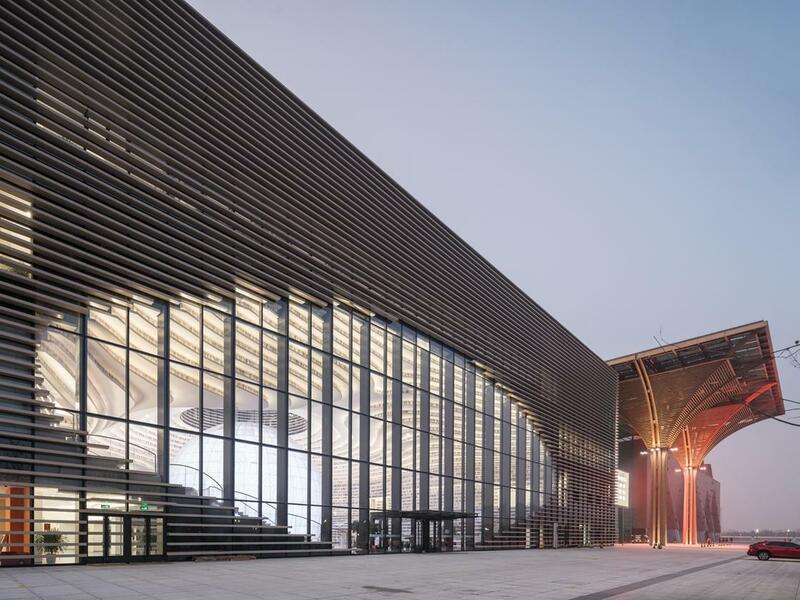 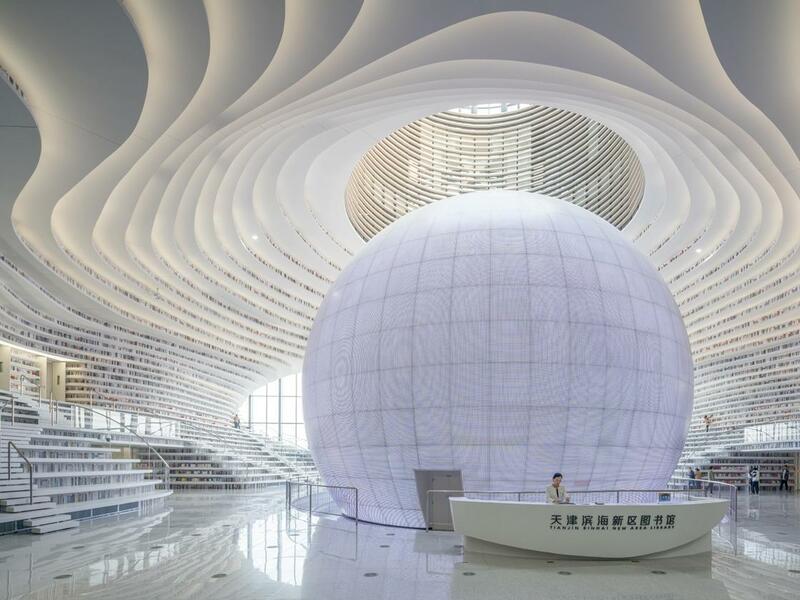 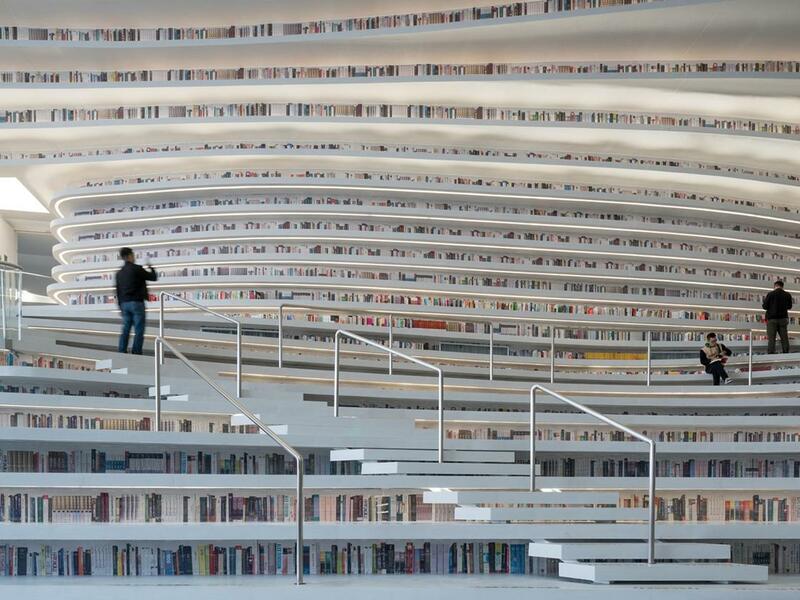 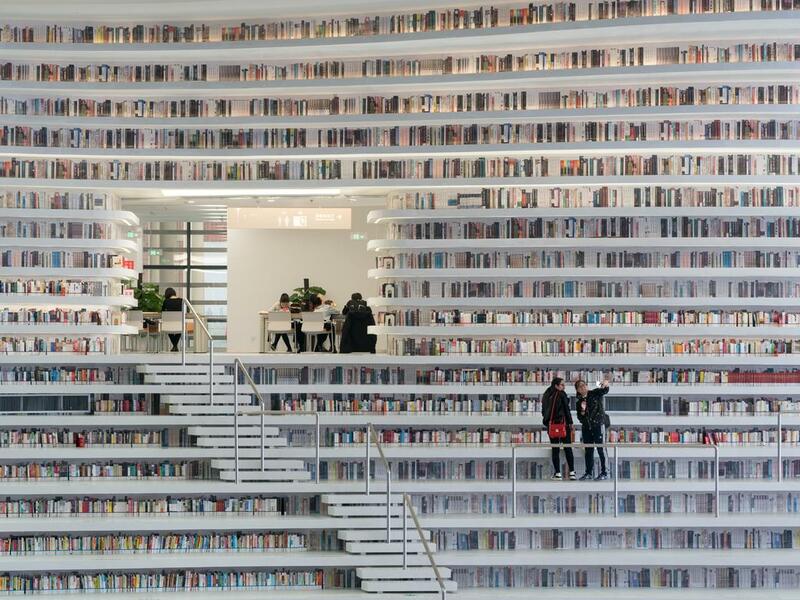 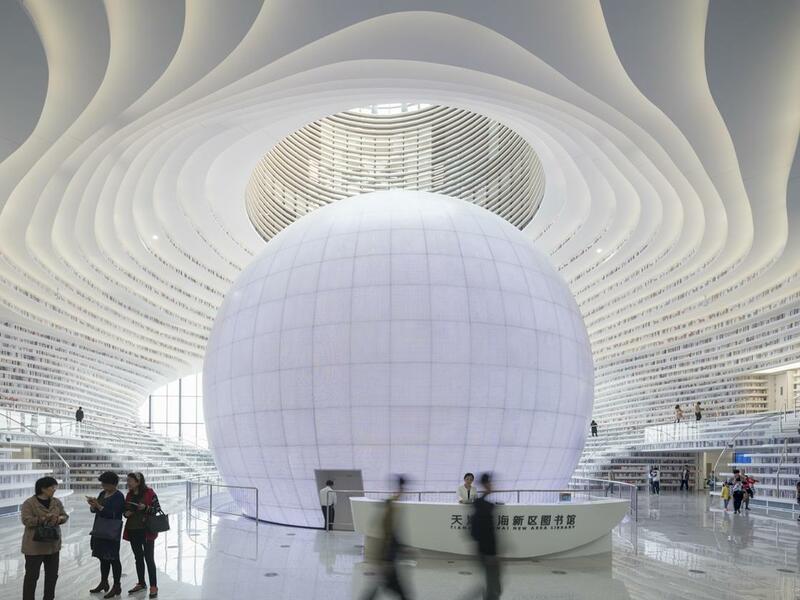 Built as a huge open space around a spherical auditorium, called The Eye, the Tianjin Binhai Library has been conceived as a place of exchange and sharing. 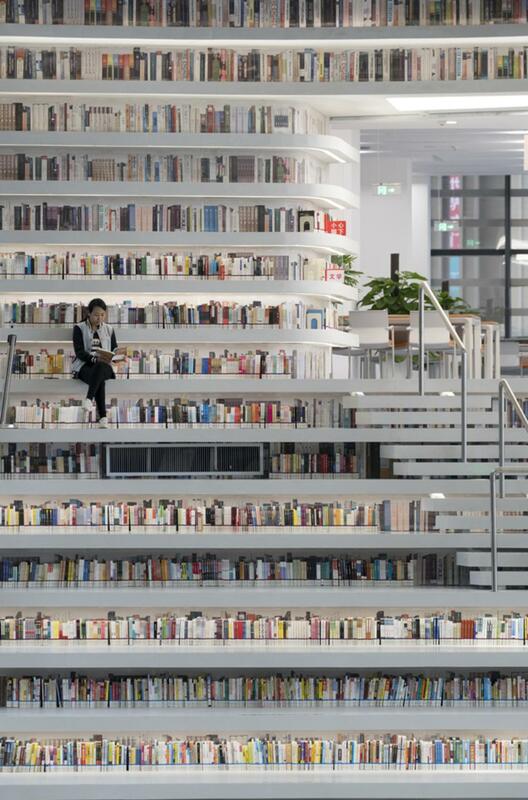 Its shelving can accommodate more than 1.2 million books and also offers reading and relaxation areas. 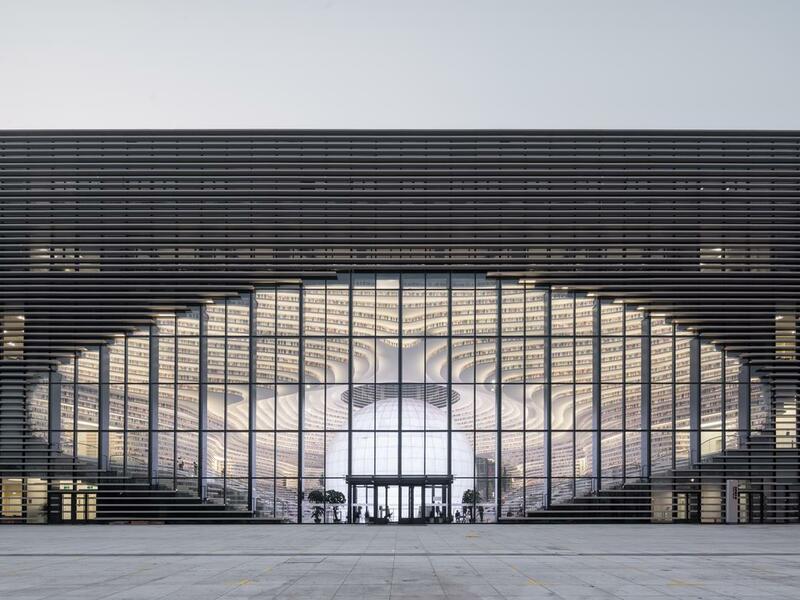 An amazing architectural project!